In my time in youth ministry I have worked for two different youth groups at two different churches. Each of those churches prized youth ministry. Yet there were still times I felt like I had to go to bat for my middle school students and our ministry. There are times that every shepherd must stand up for their sheep, all the while supporting the unity and authority of the church. How can we, as youth leaders, best represent our students and best steward the ministry we’ve been given? It all starts with knowing why and how to stand up for them. 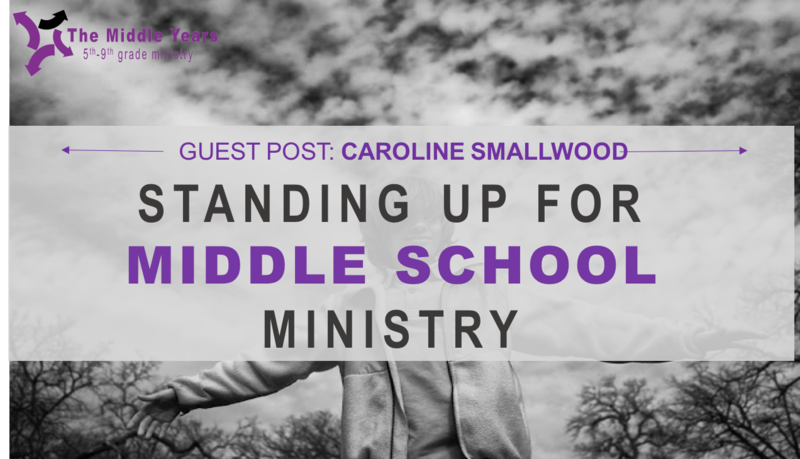 Why should we stand up for middle school ministry? If you are a youth worker, the students in your youth group are the flock that God has entrusted to you. Just like the senior pastor is the shepherd of all the sheep, we are the shepherds of the middle school sheep and in order to care for them, we must stand up for them and be their advocates. It might cost us effort, time, energy and comfort in order to fight for these students, but they are worth it. Jesus says so! He often spoke of the importance of children and young men and women. It’s easy to forget the importance of this age group when those around you are speaking negatively about them. Don’t let society define what these students can do and what they deserve. Instead let the students show them what they are capable of! 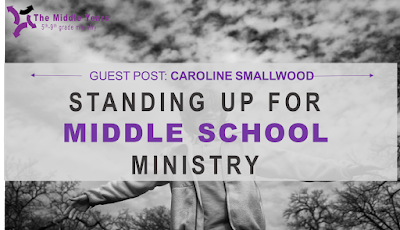 How can we best stand up for middle school ministry? Don’t just speak highly of your students after someone makes a negative remark about them, but instead use the whole year to show the church just how important middle school ministry is. Most people who aren’t excited about youth ministry simply don’t know about it and about the amazing things these students are doing and can do. It’s our job to be planting seeds of information and inspiration about middle school students. Give them opportunities to interact with adults and the larger church body. Share stories of things God is doing in their lives and in your ministry. Unfortunately some youth leaders that have come before us have left a negative taste in other church workers’ mouths. They might have obeyed the first part of 1 Peter 5:2 but they forgot that we are to “be willing, acting as God wants us to act, not pursuing dishonest gain but being willing to serve.” Ultimately, Jesus is the Chief Shepherd and opens and closes doors for our ministry as He wishes. There is no reason for us to step on toes, be manipulative or let our feelings get in the way of ministry. I have found this to be the best way to bring unity to the church. When I see a brother or sister fighting for their ministry, I take the time to ask how I can help and encourage them. When one ministry succeeds, the whole church, not to mention the whole kingdom of God, succeeds. I completely believe that the church will be its strongest when it sees the importance of the student ministry. And the student ministry will be its strongest when it sees the importance of the larger church body. May we shepherd faithfully and humbly and be known for promoting unity and selflessness in the church.